OK, you’d probably have to be there. I’m thinking it probably didn’t happen that way, anyway, but it’s a good joke. And I like potato chips, but the next time I open a can of Pringles I’m going to be very careful, and you should, too. Because it might not have potato chips in it. He didn’t really say that, but I would have. Or something similar. This guy called the U.S. Fish & Wildlife Service, and they found two more potato chip cans with King Cobras in them, about the same size. Plenty big enough to put some zip into your doo dah day. The package also contained a beverage container that had some soft shell turtles in it. Turns out a guy in LA was trading endangered animals with a friend in Hong Kong for fun and profit. Sort of an animated pen pal thing, with a side order of potential agonizing death for the unsuspecting mail carrier. It’s no wonder those guys are disgruntled. If I had to deal with venomous reptiles hidden in potato chip cans I wouldn’t be very gruntled, myself. There are certain animals you shouldn’t mess with, and deadly snakes are way up high on that list. You probably won’t run across a great many King Cobras slithering around in the U.S. of A., but we’ve got plenty of dangerous serpents of other types. Actually there are only four venomous snakes in North America, and Texas has all four. Coral snakes, copperheads, water moccasins, and rattlesnakes. Copperheads are probably the least deadly of the bunch. They’ll just barely kill you. An interesting thing about snake venom is that the venom of all the venomous snakes in South America attacks the central nervous system except one, and its venom attacks the circulatory system. The venom of all the venomous snakes in North America attacks the circulatory system except one, the Coral snake, and its venom attacks the central nervous system. Not that that matters much, really, but it’s interesting. 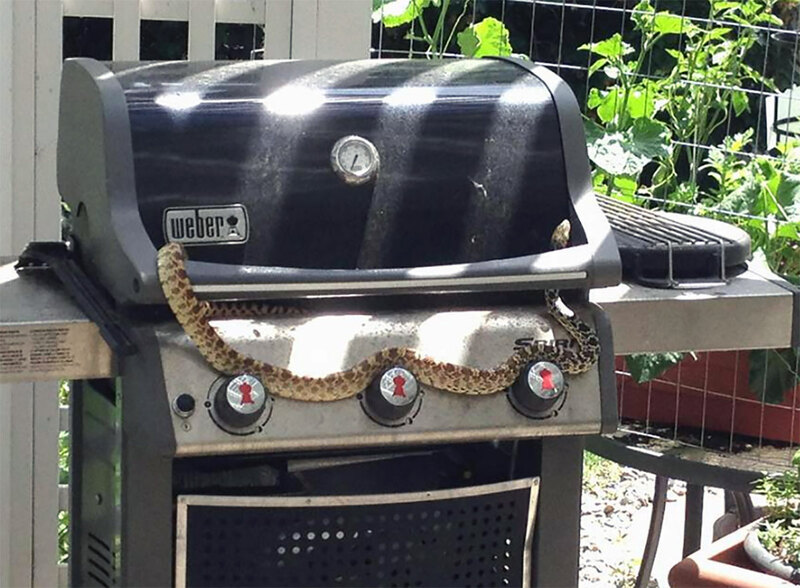 It probably didn’t matter to Victor Pratt a while back, when he decided to cook a rattlesnake on his backyard grill. Victor lives in Arizona, and he was cooking for his kid’s birthday party when a snake wandered into his yard. Victor, being a guy, decided he’d been presented with the perfect opportunity to teach the kids how to catch and grill a rattler. So he caught the snake, and while he was showing it to the crowd he lost his grip on its head, and it bit him on the face and chest. So Victor was actually an excellent example for the kids, but a bad one. Victor learned a valuable lesson that day, namely – always be careful opening a can of potato chips. Also don’t mess with rattlesnakes. But you don’t have to be an idiot to get bitten by a venomous snake. 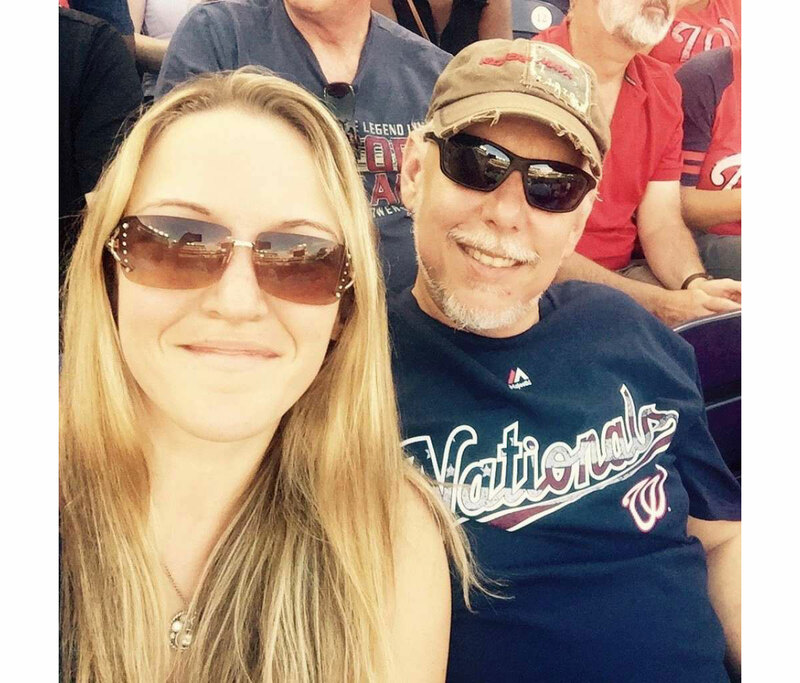 Take, for example, the example of Rachel Myrick, of Fredericksburg, Virginia. Rachel had just walked into a Longhorn Steakhouse with her boyfriend, Michael Clem, when she was suddenly bitten by a soft shell turtle. Not really. It was a copperhead. It was evidently lying just inside the door of the restaurant, waiting for Rachel to show up. Snakes are sneaky that way. Rachel felt the bite and thought she’d been stung on the foot by a bee or something, so she reached down to rub it, and felt the snake wiggling under her fingers. It was still attached to her foot. At this point the Surgeon General recommends full panic while shouting, “I’ve been bitten by a snake!” and Rachel followed protocol precisely. Luckily Michael used to breed and handle reptiles, and he was there to help her panic. He also called 911 and identified the snake as a copperhead. The Chron.com article I read didn’t say Michael did anything else, like grab the snake and wrestle it out the door, so I’m assuming Michael isn’t an idiot. So Rule Number One is: don’t mess with venomous snakes. Rule Number Two is: if you absolutely have to mess with venomous snakes, refer to Rule Number One . . .